Histamine, Methylation, and MTHFR | Judy Tsafrir, M.D. Methylation is a vital foundational biochemical process in the body, involved with the detoxification of heavy metals, regulation of gene expression and protein function, and central to the synthesis of neurotransmitters, the chemical messengers which mediate mental and emotional states. Imbalances in methylation status result from genetic defects in the enzymes which regulate the process of methylation. In the past few years there has been a great deal of interest in genetic testing, and in particular, the role of the MTHFR gene. A genetic defect of the MTHFR gene can result in a malfunctioning MTHFR enzyme, which can affect methylation. There is a common misconception, however, that the mere presence of an MTHFR mutation is synonymous with a methylation defect. This is by no means necessarily the case, even if an individual is homozygous for the gene. The presence of the defective gene does not necessarily translate into a functional defect. In fact, the recent wide spread indiscriminate prescription of methylfolate to compensate for the genetic mutation is not only misguided, but can actually make people who are undermethylated not only feel much worse, but also increase their risk of developing cancer. In order to determine the actual functional methylation status in the body, whole blood histamine must be measured. Histamine levels correlate with the functionality of the methylation process. 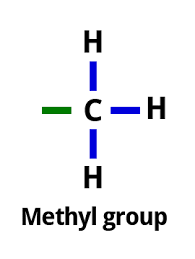 Histamine and methyl are inversely related to one another. That is to say, if whole blood histamine is low, the individual will be overmethylated and if it is high, they will be undermethylated. As I have gained more experience asking patients about their symptoms, I have begun often to be able to accurately predict what the lab studies will reveal. No one has all of the symptoms, and sometimes it can be confusing, as a person will have symptoms or traits of both conditions. Methylation defects take three to four months to correct, and longer in people with the blood type A. The protocols do not correct the genetic defect, and thus need to be taken indefinitely. I was interested to learn that many foods typically considered super healthy, such as leafy greens and avocados, and other foods that are high in folate are not beneficial for undermethylators. Multi-vitamins, which typically contain folic acid, are also harmful to those who are undermethylated.